Sadly, the daily pressures and problems of life can delay our spiritual growth and leave little time for meditation or reflection. 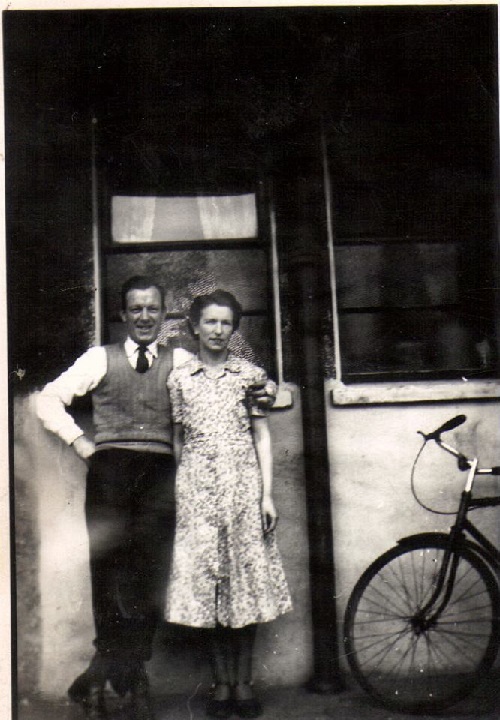 Aged only Forty-eight, my father left behind a life which had been filled by hard work, alcohol and debt,- a life which had always been over-shadowed by the horrors of war. By the age thirteen, I had lost myself in an endless cycle of work and study. My mother blamed herself for my father’s death, and spiraled into depression and alcoholism. In a terrible row,- about a week before he died, she had cursed him,- wishing him dead. As always, I was a witness, and his reply was chilling. “Be careful what you wish for” was all that he said. I was the only one who knew that he had an inoperable blood cot on his brain, following an accident in work. By the age of fifteen, I was working forty hours a week after school and struggling to keep up with the unpaid household bills. I had not truly dealt with my own grief. In fact, I was 25 by the time I finally visited my father’s grave, and let go of all the years of anger and disappointment. in the random times you held me near. And still I call you dad. But yet you were the best example that I had. and leather belts that stung the mind more than they stung my legs. What did you ever teach me, apart from never giving up the fight. What did you leave me, except the feeling of a loss for something that I never had. I saw the truth , and realised how hard you really tried. But still the little children die. I was still a child, pretending to be an adult. Working in a bar until after midnight every night, reading into the small hours, and falling asleep in the classroom on a regular basis. It was a teacher who freed me from the treadmill by insisting that I had to choose either work, or study. I quit school, took a full time job in a bar, and finally had time and energy to see the world again. I continued to read avidly. I discovered the dark, atheistic world of Existentialism, by reading authors such as R.D Laing and Jean Paul Sartre. I realised that we create both the madness and the beauty in the world by our choices and actions. Strangely perhaps, my first spiritual experience as a young adult, happened within the catholic church. I was persuaded by a friend to visit a large church near where I lived, to view an phenomenon that was then sweeping the Catholic world. It was called ‘Charismatic Renewal’. I stood in amazement as thousands of people ‘spoke in tongues’. It was the most incredible sound I have ever heard. Several thousand people praising the divine in their own words, came together in an amazing harmony. It was hauntingly beautiful, but not enough to make me return to my old beliefs. I still believe, that dogma in any form, leads to ignorance and intolerance,- but it did shatter some of the darkness of my existentialist beliefs and gave the seeds of hope. 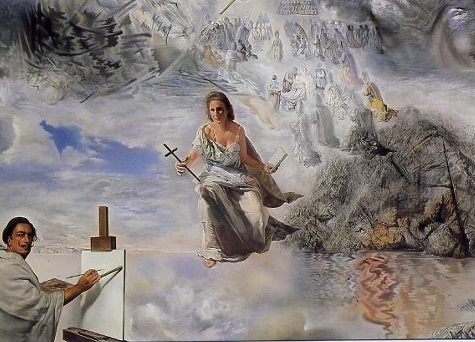 Still undecided, I hung a huge print of ‘The Ecumenical Council’, by Salvador Dali on my bedroom wall,- while I nursed my wounds and pondered the mysteries of the universe. I became fascinated by the many case histories of people who insisted that they remembered previous lives. Many of them were young children, and their stories made compelling reading. It was in the eastern concept of reincarnation that I finally found a way to reconcile the horrors of war and bigotry with the need for some rational concept for the existence of the universe. I was particularly impressed by the image of the universe being ‘The Breath of God’. In my mind I could see each exhalation of the ‘Source of all Being’…. flowing into the world and evolving into Life, Consciousness and Love. My mind is filled with scimitars and crosses, chanting monks,and shamans rattling bones. The clash of steel, the pounding of the rams against the fortress gates. Yet I must admit that scimitar or holy lance or blade of ebony did suit me well. Many witches burned beneath my brand, and many heathens slain by my own hand. In many lands and many ages did I kill, to keep the unbeliever from my home. And now I can no longer stay, I feel ashamed, and wonder what the killing was all for. Perhaps next time I will discover Love, and never more will feel the need to fight.